The Open Enrollment "window" for the 2019-20 school year will be open from Monday, February 4 - Tuesday, April 30, 2019. Parents may apply online at http://dpi.wi.gov/oe. If you would prefer to apply via paper application, please contact Sara Budimlija at 715-748-4620 x 522 or budimsa@medford.k12.wi.us for a copy of the 2019-20 application. If you are interested in having your child attend one of the Medford Area Public School District's schools for the remainder of the 2018-19 school year, please contact Sara Budimlija at 715-748-4620 x 522 or budimsa@medford.k12.wi.us for an Alternate Open Enrollment Application Form. Parents / guardians are reminded that in order to apply for open enrollment, the first condition is that the district of residence (where you live) offers a program at the same grade level as the program you are applying to enter into. The Rural Virtual Academy (RVA) will again be available in 2018-19 for students in Abbotsford, Antigo, Auburndale, Bowler, Colby, Elcho, Gilman, Marshfield, Medford, Mosinee, Owen-Withee, Pittsville, Prentice, Rib Lake, Spencer, Stratford, Tomah and White Lake without applying through the open enrollment process. 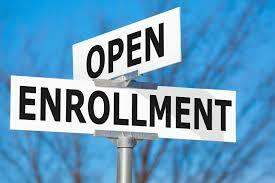 If you reside in a different district, you may also attend the RVA by completing an open enrollment application. The RVA offers programs to students in grades K4 through 12. To learn more about the Rural Virtual Academy, click here. If you reside in the Algoma, Ashland, Phillips, Rosholt, Southern Door, Thorp or the Westby School Districts, please contact your school district to register to attend the RVA via a 66.0301 Agreement.